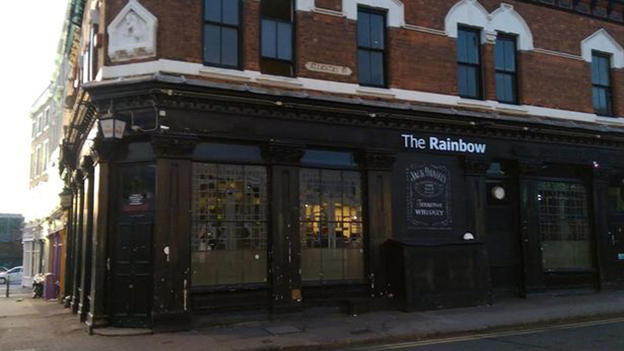 Birmingham’s Rainbow nightclub has managed to hold on to its licence - after pledging to search its own security staff for weapons. The venue had its licence suspended last month after police produced CCTV footage of an attack that left a customer with a fractured skull. Licensing chiefs heard the victim was left lying in the street for 15 minutes after the attack, allegedly carried out by two members of security staff and a steward on August 9. The committee was told that two other customers were also injured and that one staff member had used a police-style extendable baton. The club had its licence suspended on August 14 in an expedited review, but was allowed to reopen for three events since August 30 after meeting interim steps demanded by police. The steps included a root and branch review of the management and the removal of the security company. The Lower Trinity Street venue has since brought in external consultants, changed its management structure and formed its own security firm called Rainbow Security. A 38-page submission to licencing chiefs - part of a wider 104-page action plan from the club - outlined sweeping changes. The venue also told councillors that it had sacked everybody allegedly involved in the incident. The expedited review was ordered after ambulance crews called in police at 5.38am on August 9. The police report said a member of the club management team was seen on camera walking out to view the incident, before walking back inside. It added: “There was no call to police from the venue and no positive action taken following their staff assaulting a group of males (at times with an offensive weapon). “The CCTV is very graphic and shows the full extent of the assault, including attacking the male whilst he is on the floor. Andrew Potts, on behalf of Rainbow Venues, said: “The venue fully accepts that prior to this unfortunate incident complacency had set in. “In a very short space of time they have produced a document, which in my opinion, covers everything that you required. Leonard Coppage, who is leading the new security plans on behalf of Rainbow, described the incident as “very serious but isolated”. Licensing chiefs modified the licence to ensure that every member of security staff is searched before they start work. They also ordered that stewards should only be used before midnight. Interim conditions will also remain in place, including ensuring that two premises licence holders are on site at all times.